We’re coming up again on one of our favorite Nashville events of the year: The Thirth of July block party, probably the most East Nashville of East Nashville celebrations, next to the annual Tomato Art Fest. If you’ve never been, here’s a simple rundown: Since 2001, Eastside neighbors have been getting their Independence Day celebrating started early, with an outdoor party that’s full of local music, local food, local beer and local giving. A cozy section on the edge of Lockeland Springs — North 12th between Ordway and Calvin — is closed off for Thirth-goers, whose tickets get them hours of entertainment, bottomless craft beer (within the bounds of safety) and a chance to do a little good while celebrating. This year, a portion of the Thirth’s proceeds will go to East Nashville’s Martha O’Bryan Center, which works to help local families out of poverty. More than 15 years in, The Thirth is a little bigger than it once was — founder Chris Thompson kicked off the event with a little PA on his porch, and now, hundreds of Nashvillians come out for a much more pro but still fittingly East Nashville-weird event. 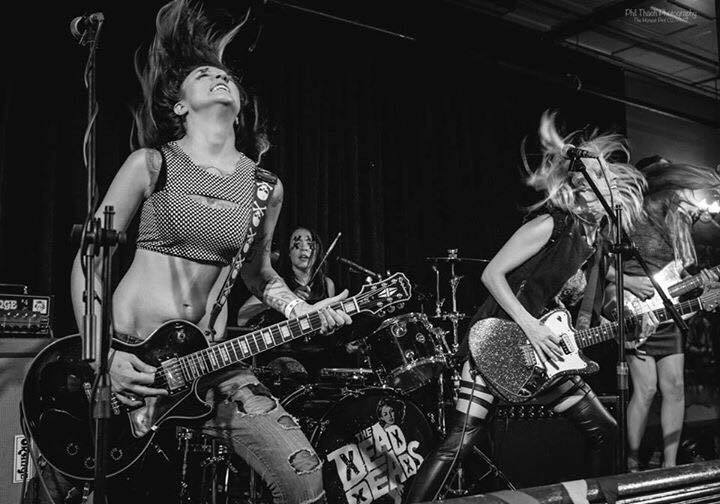 East Nashville’s own heavy-but-hook-y The Dead Deads (whose latest album, For Your Obliteration, was produced by Helmet’s Page Hamilton), Birmingham-bred Americana voice India Ramey and others. On the food side: Chinese street food from Nashville food truck Bao Down; ribs, pulled pork and more from G’z BBQ; New Orleans fare from Fleur De Licious; and gelato from newcomers Frisson Soft Serve. Beer, as always, comes via Nashville craft-beer elder statesmen Yazoo. The party starts at 4 p.m. and wraps at midnight, and tickets are $20 in advance, $30 at the door. Grab your Thirth tickets ahead of time here, through Wannado. This event’s a perfect kickoff for your Independence week celebrating in East Nashville, best followed up on July 4th with the Hot Chicken Festival in East Park. For more info, visit www.thethirth.com. Up top, a highlight reel Thompson put together at the event a few years ago. Hope to see you there! If you’re hoping to make East Nashville your home, and are about to start your househunting process, let us know if we can help! Our office is on the Eastside, and we work with East Nashville buyers, sellers and builders all the time. Call or email ACRE here, or for an easy way to start your new-home search, fill out this quick form.